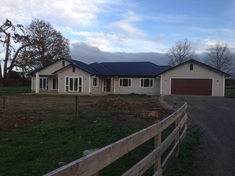 Domestic Electrical Services in Te Awamutu, Hamilton & Cambridge. It can be one of the more stressful tasks to tackle so we are here to help. With our many years of experience in new housing we can guide you through the project with some advice on placement of your electrical items, brands of materials to use, and what you should have in your home. If you are on a tight budget we can help you determine what items could be future proofed to make installing at a later date a breeze but keep the cost down initially..
​Contact us today and we will run you through the process from designing your electrical plan from a blank canvas to your master piece design. We can provide free quotes for Cambridge and Te Awamutu areas. 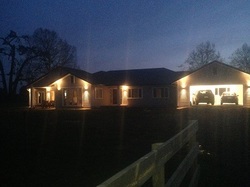 Highly experienced in LED lighting design and Video audio distribution we will make your dream home come to life. We walk you through every step of the electrical process from pre-build consultations, pre-wire walk through s, lighting design and future proofing your home. Have you thought about mounting that new 70Inch tv on the wall and hiding all those ugly devices like your DVD and VHC players, Sky and free view decoders into a cupboard specifically setup with for them? We can certainly help you with that. 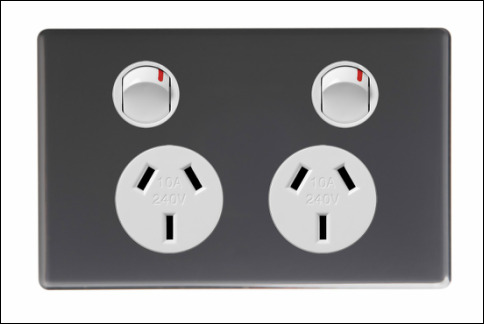 Fancy switchgear does not have to break the bank, The below switchgear is only a few dollars more each switch to installed as opposed to standard raged switchgear. HPM Life series pictured below looks amazing in new homes as well. 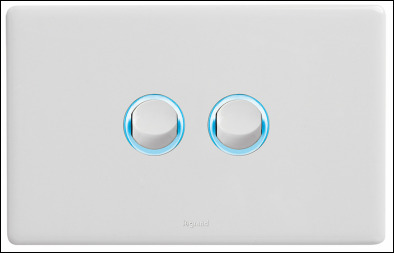 The lights around the switches are optional extras but we have found these to be extremely useful to put on switches for outside security lights (so you know at a glance that they are switched on) or in kids bedrooms so they know where the switches are. 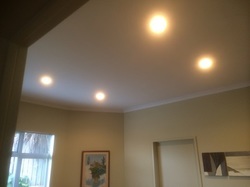 We can help upgrade your existing lights to LED fittings. New LEDs will use up 85% less power and last for up to 20 years. Talk to us today to discuss your options. Talk to us about adding a combination of up / down lights, recessed lights and security lighting to your home. Thought about upgrading your lights to LED? b) They take a few minutes before they reach there maximum brightness. What are the advantages of LED lights?